Darn thing about sample vials: they are made of super fine glass so if you drop one on a tile floor, the party is over. Or it has just begun with an explosion of fragrance all over your floor. Either way, my evening hopes of reviewing another smart creation from Jo Malone were dashed as I found Peony and Blush Suede splattered all over my kitchen floor, the unfortunate result of carrying too many things at once. Yet, as the fragrance wafted from the floor and I managed to salvage enough of the liquid to dab on my arm, its charms turned even this debacle into a pleasurable moment. I have always favored the house of Jo Malone for creating refined, extremely wearable scents. Anyone can find one to call their own, even I, during my olfactorily picky second pregnancy, favored Jo Malone's White Jasmine and Mint. So upon browsing the fragrance counters at Neiman Marcus and coming up with mediocre finds, the Jo Malone counter beckoned me, offering a definitive new study with Peony and Blush Suede. Peony and Blush Suede is a departure from most florals in this line, typically clean and airy with a prominent citrus note. Rather, this beauty begins with apple and morphs into a musky, powdery flower. 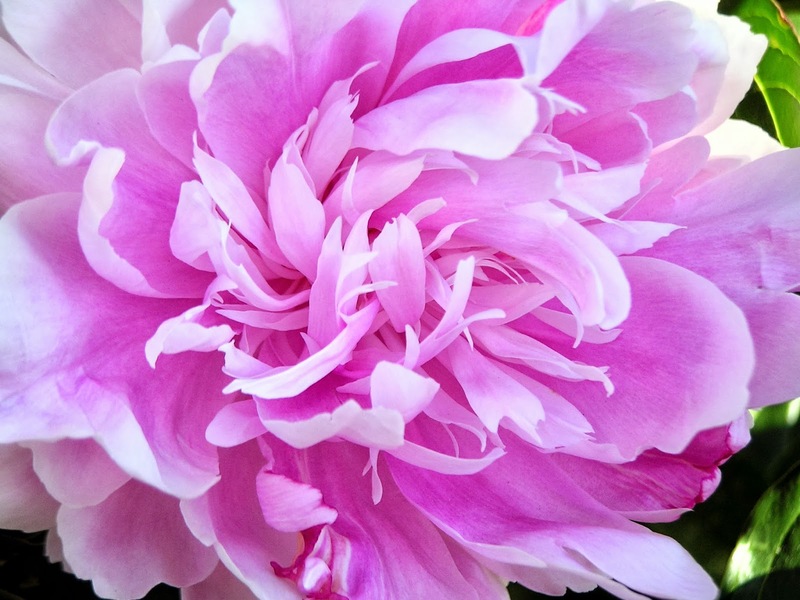 The apple offers just enough piquancy to showcase exquisitely beautiful peony, the symbol of everlasting love. The floral bouquet is more smooth than cloying, more refreshing than sweet and this balanced quality remains Jo Malone's strength. All of her scents have that same balance. The musky suede base offers just enough grounding so the glorious peony note lasts. Jasmine, rose and gillyflower add richness to the bouquet, just enough to keep it interesting and lively. With a candle, body wash, body cream and cologne offered, my only trouble will be in deciding which I can do without. Speaking of doing without, I explored for the first time today five beauties from the Jo Malone Cologne Intense collection. I consider it a major feat that I walked away from the counter without purchasing one. Rose Water and Vanilla, Amber and Patchouli, Oud and Bergamot, Dark Amber and Ginger Lily (oh my!) and Iris and White Musk all deserve recognition in their own right. The only scent I did not have the pleasure of experiencing from this collection is Velvet Rose and Oud. One day I will get my hands on a real live sample of each of these to review. Until then, I am basking in my last drop of Peony and Blush Suede. Jo Malone Peony and Blush Suede can be found at Neiman Marcus and Saks Fifth Avenue. A 30ml bottle retails for $60 and a 100ml bottle retails for $115. Many thanks to Mary Robinson at Neiman's in Scottsdale for her generous assistance. Amber and Ginger Lily intense and Blackberry and Sage pending review! Image of peony courtesy of wikimedia.